T.K. hasn't connected with their friends on Goodreads, yet. T.K. Ambers has read 4 of 24 books. To ask T.K. Ambers questions, please sign up. 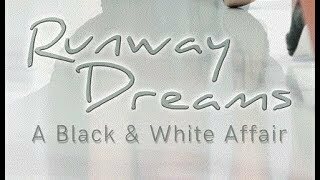 Keep an eye out for exciting developments in the making of, A Fox in the Fold, the thrilling sequel to Runway Dreams: A Black & White Affair. This story picks up where the first left off and falls more into the murder mystery genre with a little built-in romance between key players. A fun read that will keep you laughing and shaking your head in wonderment. Chelsea's stories keep you on your toes and wanting more. I recommend this book to anyone who can take a joke and not take life too seriously. We’d love your help. Let us know what’s wrong with this preview of Are You There, Vodka? It's Me, Chelsea by Chelsea Handler. We’d love your help. Let us know what’s wrong with this preview of Runway Dreams by T.K. Ambers. We’d love your help. Let us know what’s wrong with this preview of Cat Confessions by Allia Zobel Nolan. This was a great story from start to finish. I feel the author did a wonderful job showing the different character views. She should feel proud of her work. We’d love your help. Let us know what’s wrong with this preview of What The Valley Knows by Heather Christie. T.K. Ambers has read 4 books toward their goal of 24 books.